Rajendra Gavini, MD practices as a General Practitioner in Saint Louis, MO.Rajendra Gavini, MD graduated from Rangaraya Med Coll, Univ Hlth Sci, Vijayawada, Kakinada, Ap, India. 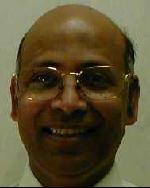 Services Rajendra Gavini, MD offers the services of a General Practitioner in Saint Louis, MO. A General Practitioner offers physical examinations, cholesterol testing, wound care, pap smears, immunizations, skin biopsies, fitness programs, stress reduction plans, ongoing evaluations, bone density testing and menopause treatment among other services. Please call Gavini Medical Group at (314) 822-7033 to schedule an appointment in Saint Louis, MO or to get more information. Was this general practitioner's staff friendly?